The Sutton is Buckhead's newest luxury residential tower. The development will consist of 141 expansive 2-3 bedroom units showcasing skyline views and private terraces. 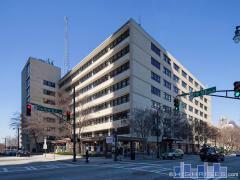 Building amenities include guest suites, fitness center, rooftop pool, and much more! Have any comments or questions about The Sutton? Ask your question and/or share your thoughts about this Building.